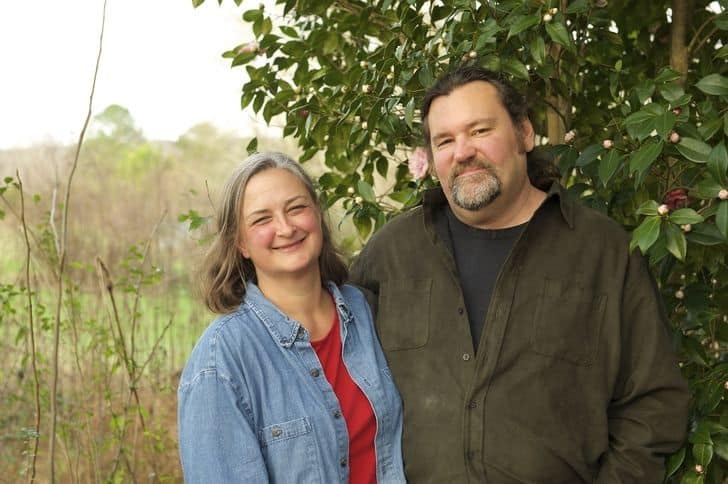 Will and Laurie Moore moved to the Moore family farm in 1998. Conveniently located 90 minutes from Atlanta, they soon began growing specialty vegetables for a couple of restaurants. During the first few years they saw demand steadily grow for local organically grown food as several small farmer’s markets provided new sales opportunities. With increasing chef requests in Atlanta, they began offering their own produce as well as their farmer’s market friends’ harvests for greater variety. Over the years their cooperative marketing group has grown and changed focus, though they still work with many of the same chefs they first met all those years ago! Moore Farms became designated as a historical Century & Heritage Farm in 2010. The current Moore Farms and Friends Online Market has been voted “Best CSA in Atlanta” five times by Creative Loafing Readers. The web-based cooperative provides the opportunity for many more farmers and food producers to continue to do what we all love: growing Real Food for good folks!